WE CURRENTLY STOCK THE LARGEST RANGE OF USA MANUFACTURED FLANGED & FLOATER AXLES IN THE COUNTRY! - WE SHIP AUSTRALIA WIDE! Since 2008, ALTRA 9 Rear End components has been working hard to become one of the Market leaders in High Performance 9” axles and rear end components for various racing applications. 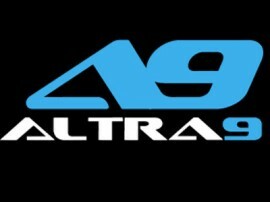 ALTRA 9 is an Australian owned and operated company that has 20+ years of experience. The company is headed by Darren who has trade qualifications in Boiler making as well as a degree in Mechanical Engineering. Darren has learnt all facets of the business from the ground up, starting as an apprentice boiler maker, fabricating custom suspension and rear end conversions for many street/racecars. His Engineering degree has also enabled ALTRA 9 to form its own “in house” design team, creating new products and checking all designs for their structural integrity. We machine axles or fabricate a complete disc to disc 9” conversion fully “in house,” with no need to outsource any part of the job. ALTRA 9 is also the “Number 1″ seller of USA Manufactured axles in Australia and can supply you a complete rear end. The company prides itself in its ability to provide quality American made flanged and Floater axles at an affordable price, with a quick turnaround of 5 – 7 days. We stock brand new USA manufactured alloy axles, housings and diff components, with a view to continue expanding our product range and services to meet the ever growing needs of this industry. We have trade qualified persons, a history of award winning rear ends and quality “in house” manufactured/Fabricated products. We have a team of highly skilled Qualified Tradesman who have 20+ years experience working for us. This ensures all of our products are finished to a very high degree of quality. We have moved to a bigger workshop located at Geebung on the Northside of Brisbane. This has enabled us to stock a large range of products on the shelf at all times. Over the past few years ALTRA 9 has added several items to its product range in an effort to offer a more complete range of driveline components. Ranging from Flanged and Floating axles to complete centre sections, to a complete disc to disc 9” conversion to suit a variety of street or race application. WE SUPPLY AUSTRALIAN OR USA MADE PRODUCTS ONLY – NO CHEAP COPIES!